Concept lifestyle image of a signpost directing Work Life Balance against a blue cloudy sky. Dont miss a trick. 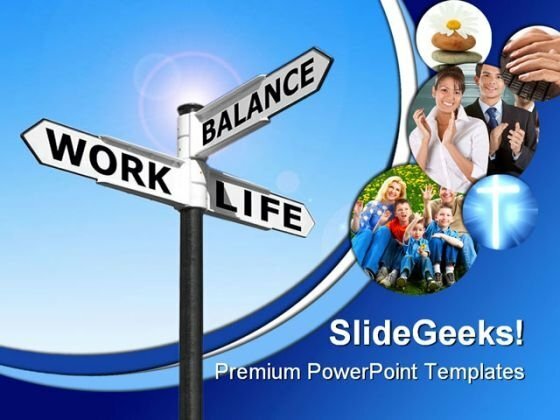 Be in charge with our Life Work Balance People PowerPoint Template 0610. You will be at the top of your game. Announce your plans with much ado. Our Life Work Balance People PowerPoint Template 0610 will not let the cheering fade.